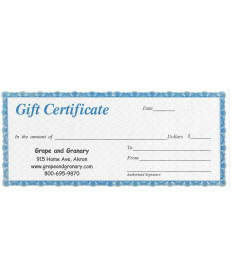 Gift certificates can be used in our store or on our website. When using a gift certificate on the website, place your order as per normal but make a note with the gift certificate number and amount and we will apply it before charging your credit card. *Discounts are given when gift certificates are redeemed and not when purchased.